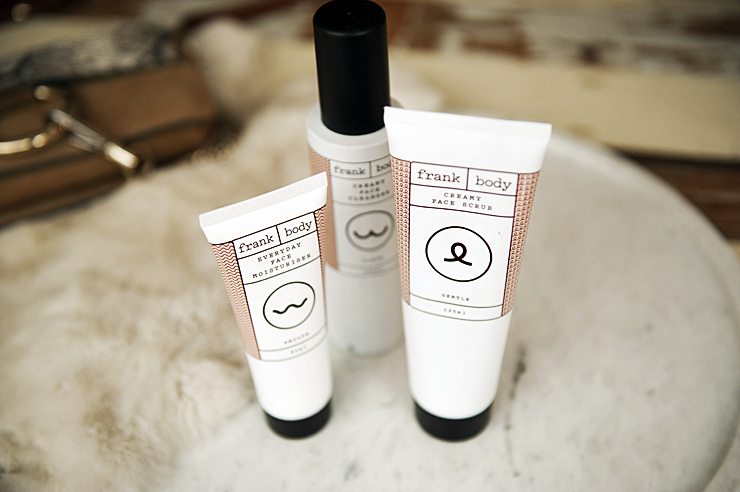 Today I wanted to introduce you a supercool brand called Frank Body. When it comes to skincare I like discovering new products. It’s not good for skin to use the same products constantly so I’m always hunting for new ones. I’ve been using these three products: a creamy face cleanser, a face scrub and an everyday face moisturiser over the last month and absolutely love the effect. It’s perfect for sensitive skin like mine. Probably because of the natural ingredients like green coffee extract, cocoa or almond. Ok, now let’s be honest. We all love when our beauty products look sweet and pretty. These pink bottles and tubes from Frank Body are the cutest. My biggest surprise though was inside… The consistence of the face cleanser and a face scrub is dark grey, almost black, like mud. I don’t remember if I’ve ever cleaned my face using a black liquid before. It’s so fun! Ok, I won’t tell you anything more, now you can get them online and try by yourself! If they’re perfect for sensitive skin, I have to try them!